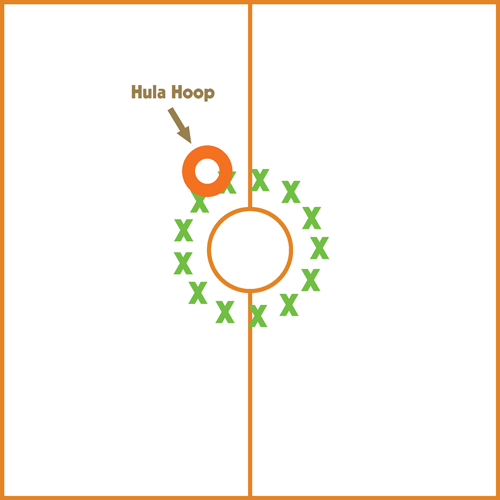 Hoop Hustle – How Fast? Have everyone in the class make a circle by holding hands with the person beside them. Have two of the people hold hands inside of the hula hoop. No student anywhere in the circle can break the circle (drop their hands) or everyone has to re-start. 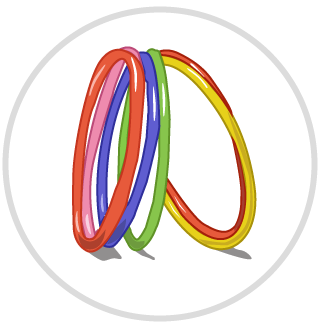 The object is to get the hula hoop to travel around the entire circle (having kids step through and pull the hula hoop over – working as a team) and have the hula hoop make it back to where it started from. For this challenge, start the timer and have the kids go all the way around one way with the hula hoop, and then, when it gets back to the start, change directions and have it go all the way back around the other way before stopping the timer. Write the class’s fastest time on the board. You can also create multiple circles and have the circles compete against each other.